Now that we are in November I’m starting to set my sights on Thanksgiving! Thanksgiving is all about giving thanks, spending time with family and friend, and FOOD! Most people have the traditional meal and finish with pies. 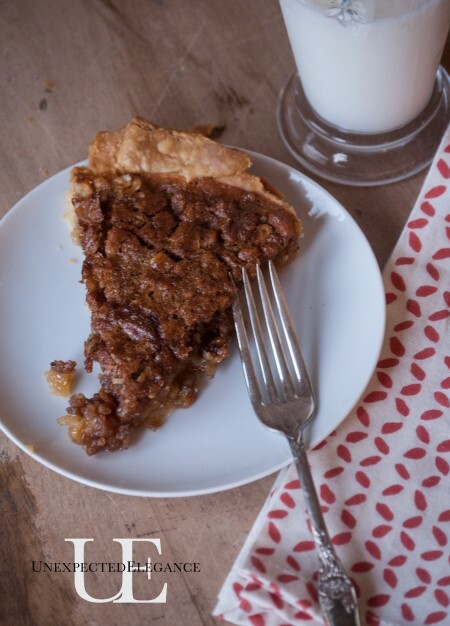 Our family ALWAYS has pecan pie. 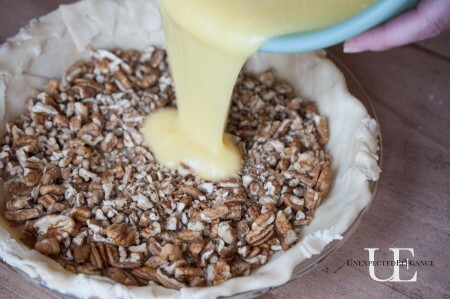 I grew up in southeast Texas, where we had/have lots of pecan trees so this pie has been a family recipe for as long as I can remember. Bake at 375 degrees for around 45 minutes. You will need to use some foil or crust cover around the edges during most of the baking so the crust doesn’t get too brown. Do you have any Thanksgiving favorites?? Our youngest daughter uses it also and my oldest son who is quite a cook. Even tho he’s not married at almost 51 he’s a very good cook. He usually hosts Thanksgiving and Christmas dinner for his single friends. Our other two kids I don’t know about (they live in San Diego area) but do know our oldest daughter will be eating the pie as she goes to oldest son’s house for dinners. She’s not exactly a holiday cooking kind of person. Our youngest son’s wife has her own recipes from her family. 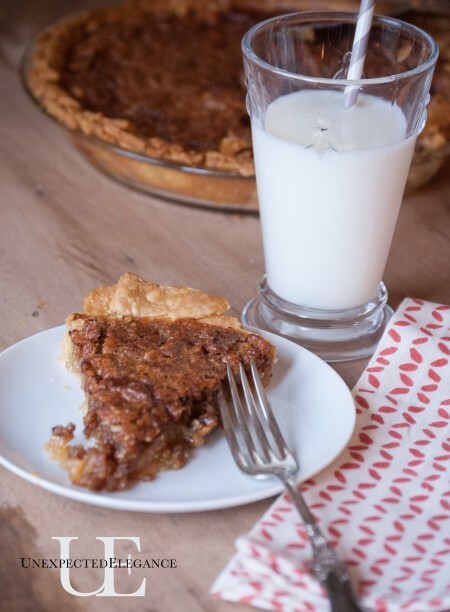 Pecan pie is m absolute favorite dessert! We have it at every family gathering and I’m pretty sure that I eat the majority of it! I will have to try your recipe next time! 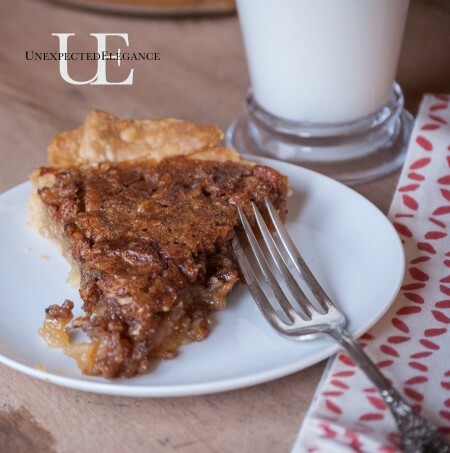 Pecan pie is truly one of my most favorite desserts! I’m doing a post on Monday about a pudding/cake with fresh cranberries…Thanksgiving in mind. 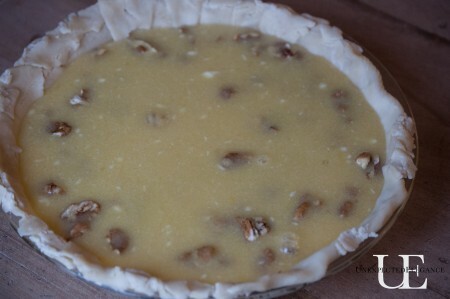 Can I post a link to your pie recipe? I will give it as an additional yummy for the big day. Just let me know if that’s not ok. Thanks Angela! That pie looks amazing! 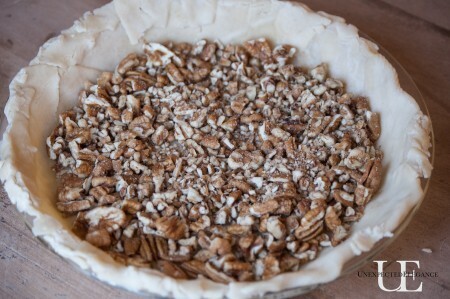 My boyfriend would be so happy if I made him a pecan pie. We buy one every year up in Door County Wisconsin but I’ve never made one myself! I just made it today. We Love it! 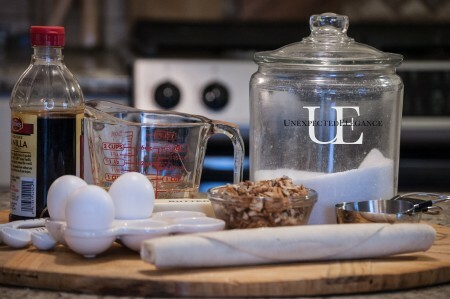 How much pecans does your recipe call for? Narissa, I don’t ever measure it, sorry! I just fill the bottom of the pie crust. You can do more or less, depending on what you like.